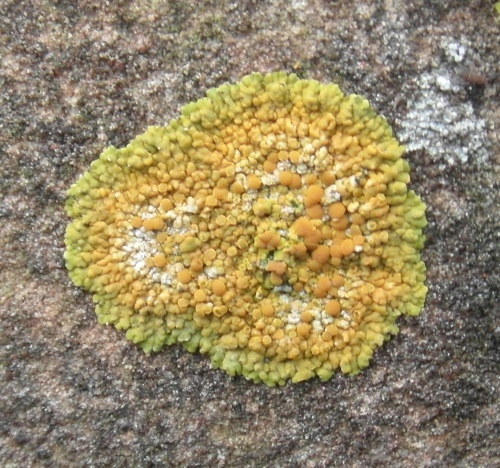 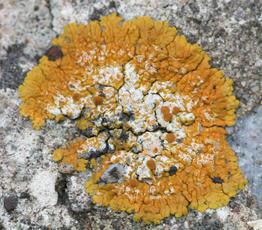 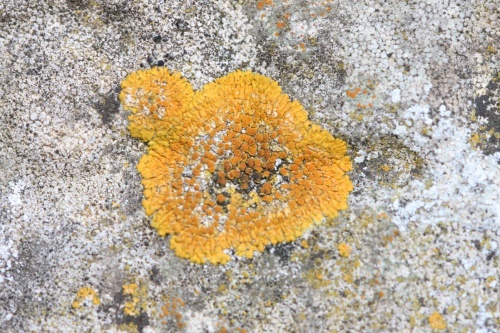 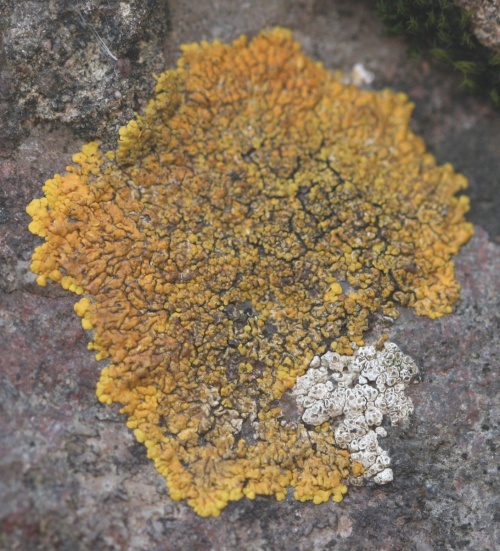 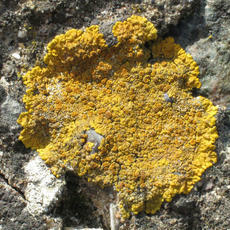 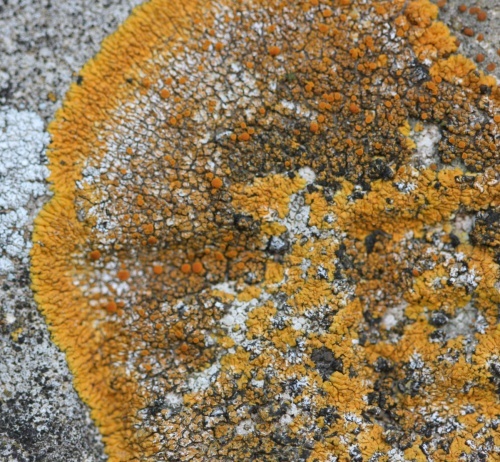 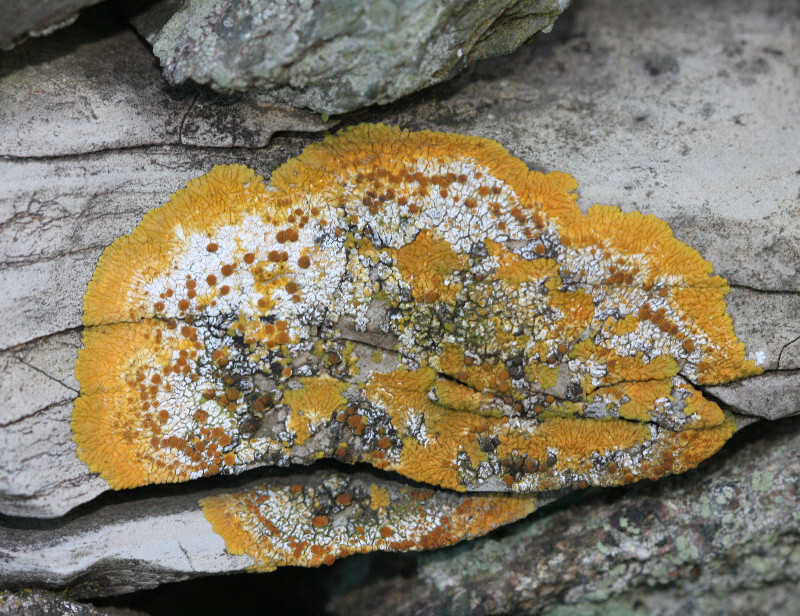 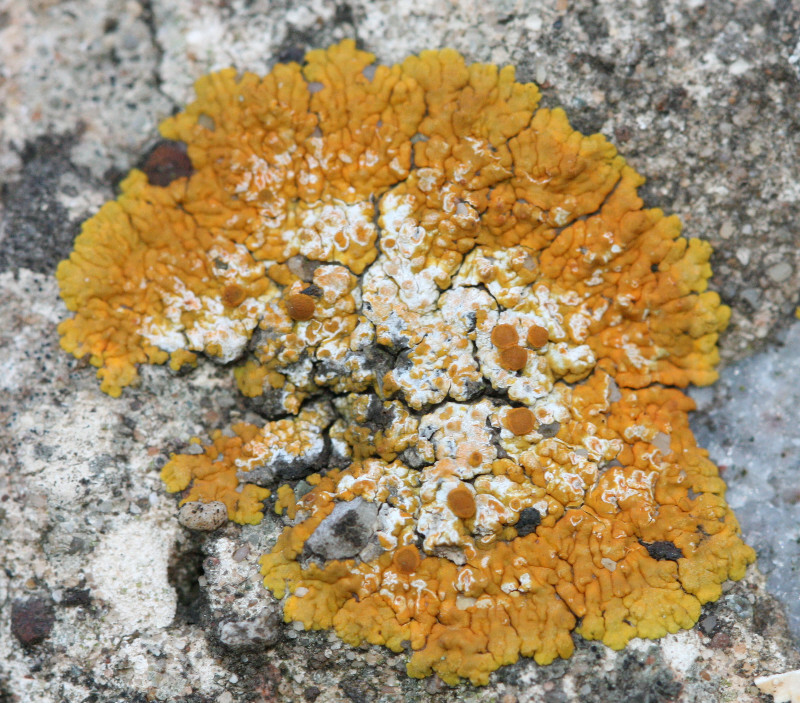 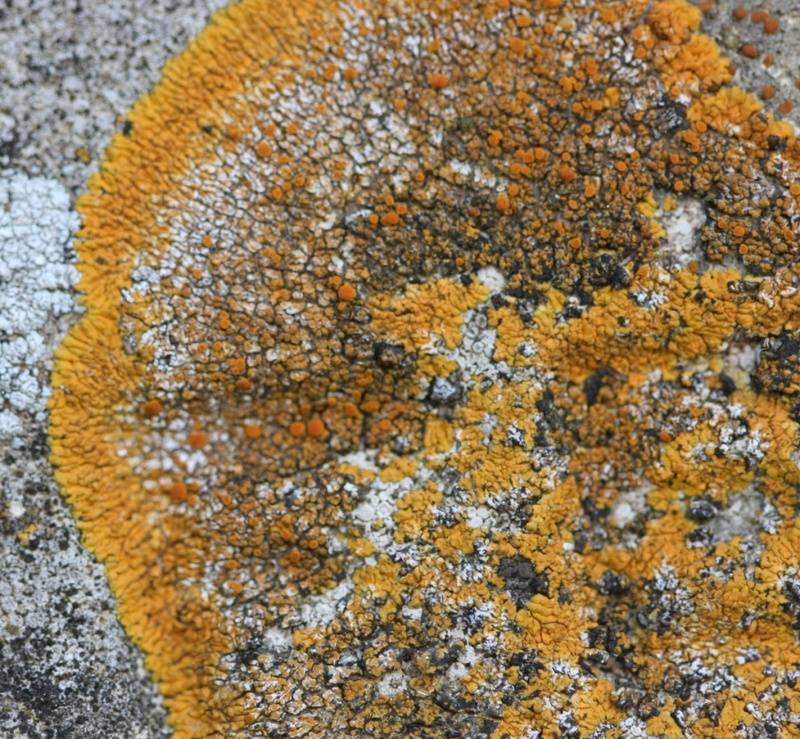 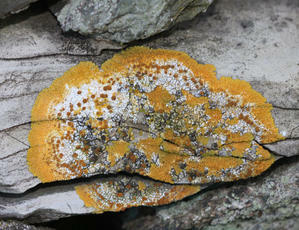 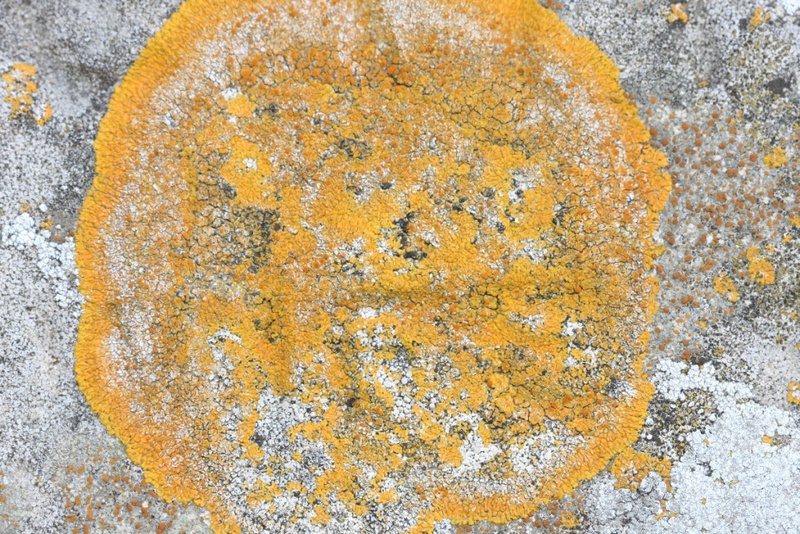 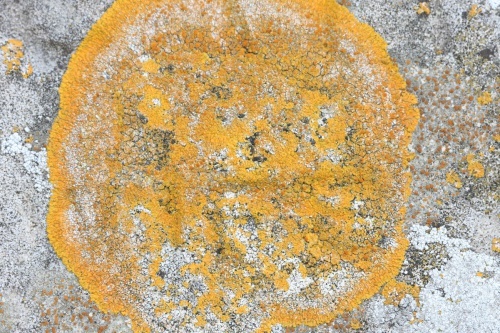 A yellow crust forming lichen often cracking and with lobed edges. 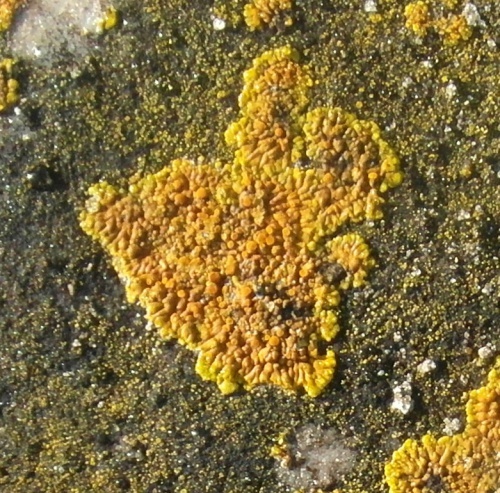 The apothecia are deeper orange and crowded in the centre. 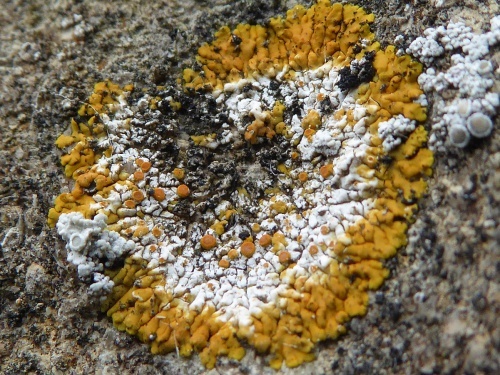 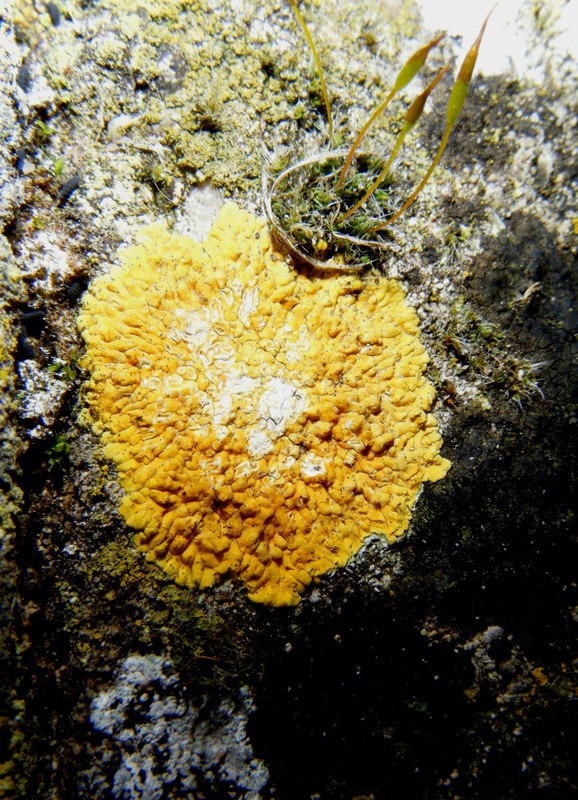 In the east of VC55 Caloplaca aurantia is found on limestone in churchyards] is found and this is easily confused with C. flavescens. On calcareous rocks, walls and cement. Common, especially in south eastern England.